Will CodePen auto-update if I change a Sketch element in my Haiku? When you publish your Haiku, you can click on the "Shareable link" and see it render in share.haiku.ai. 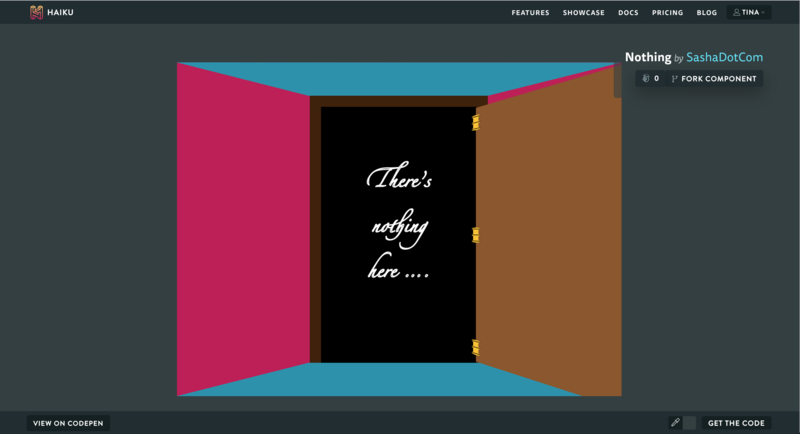 From there, you can click on the [CodePen] button to open your Haiku in CodePen. 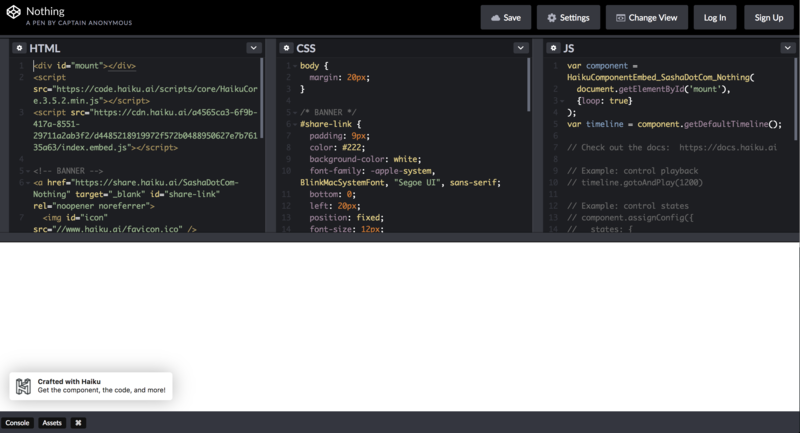 If you change your Haiku, it won’t auto-update in CodePen; you’ll need to create a new one. However, the share links that end in /latest should update every time you publish.